Mazda 3 Running Costs, MPG, Economy, Reliability, Safety | What Car? The 3 is fairly keenly priced compared with, say, the VW Golf and Mercedes A-Class, but rivals like the Octavia and Astra are somewhat cheaper. All of the engines (both petrols and diesels) are very economical given their size, and the upcoming Skyactiv X petrol engine promises an even more appealing blend of fuel economy and performance. Helping to justify the 3’s highish price, Mazda has been very generous with standard equipment. There’s a head-up display, traffic sign recognition, adaptive cruise control and LED headlights across the range, but the SE-L Lux model (which commands a premium of around £1000 over the entry-level model) may tempt you with its rear-view camera, keyless entry and heated front seats. While we reckon that base or SE-L Lux trim will be more than enough for most buyers, Mazda reckons the more expensive Sport trims (GT Sport and GT Sport Tech) will be more popular with buyers. Full specification has yet to be announced, but you can expect extra luxuries such as heated leather seats, a heated steering wheel, a frameless auto-dimming rear view mirror, 18in alloy wheels and a 12 speaker Bose sound system. The Mazda3 is too new to have yet appeared in a What Car? 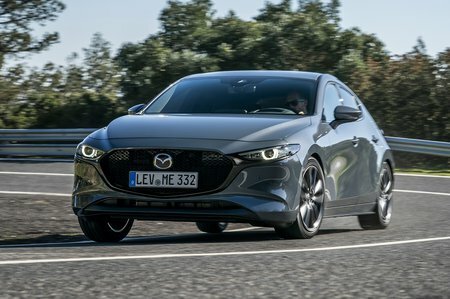 Reliability survey, but Mazda has a strong reputation for durability as a brand; it finished 10th 12th in our 2018 reliability survey, just behind Dacia but ahead of Volkswagen, Ford and Audi. Every new 3 comes with a three-year/60,000-mile warranty, which doesn’t compare well with the five-year/unlimited-mile offering Hyundai provides for the i30, but is on a par with most other manufacturers. Mazda is on a mission to democratise safety; even the entry level 3 comes packed with safety kit. As standard the 3 gets automatic emergency braking, blindspot monitoring, rear-cross traffic alert, lane-keeping assistance, active cruise control and a tyre pressure monitoring system. 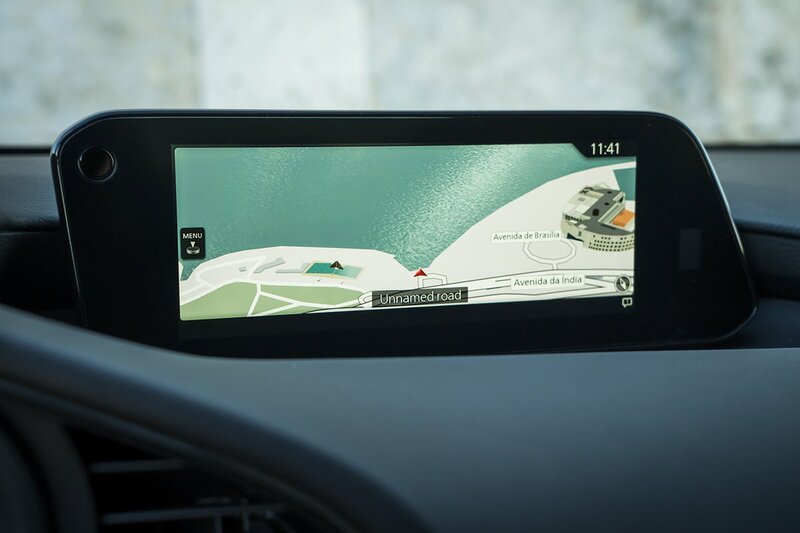 If you’re willing to make the step up to range topping GT Sport Tech trim you also get a driver monitor that will warn you if your attention begins to wander, as well as front cross-traffic alert which will prevent you pulling out on an unseen vehicle. The new 3 hasn’t yet been tested by NCAP, but the old model achieved a maximum five-star rating so we have high hopes of a repeat performance. All 3’s also come with a Thatcham-accredited alarm and immobiliser so they should be pretty hard to break into, too. The 3 finally feels like the car it should have been all along, offering buyers a genuinely accomplished alternative to the likes of the Focus and Golf. And yet we’re not quite convinced that this is the right time to buy one. 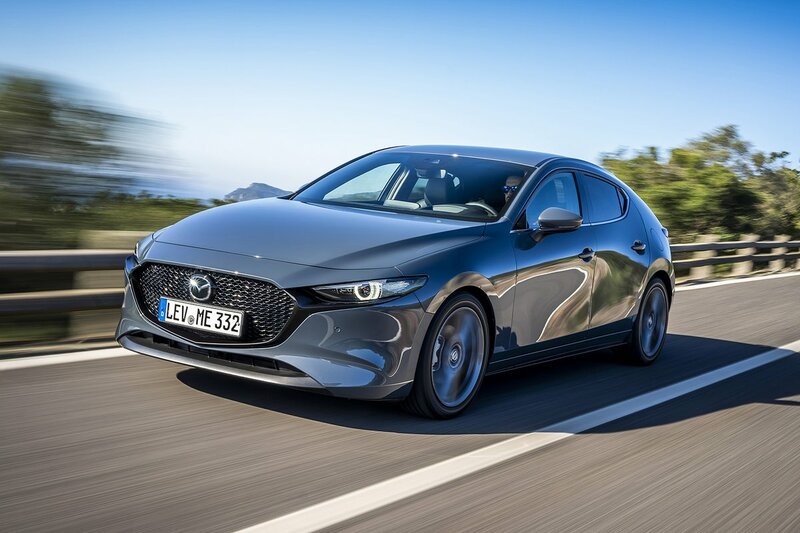 You see, while it handles convincingly, is beautifully screwed together and comes with a generous amount of standard kit, we suspect it will be even better with the Skyactiv-X petrol engine that's due to arrive later this year.